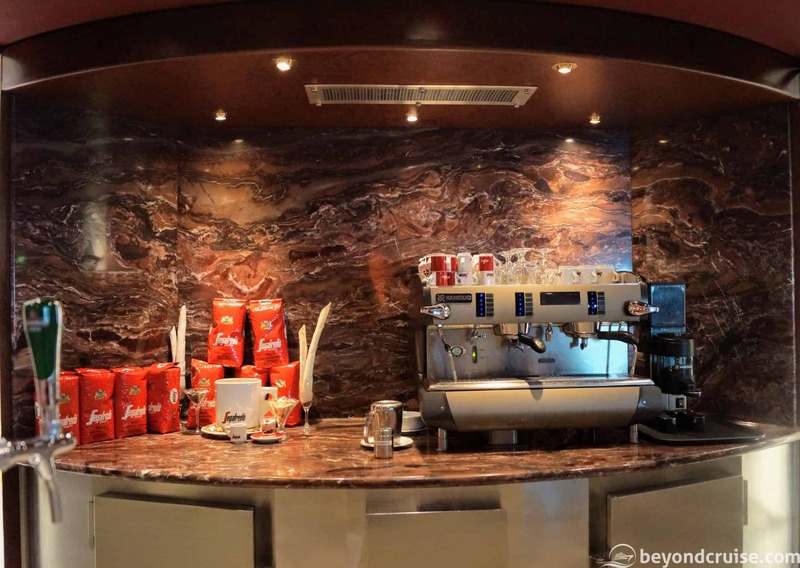 Welcome to Part 5 of our Everything MSC Magnifica series. In this part, we’ll talk about the drinks and packages and the room service available on the ship. (If you missed it, our entire 14-night live-blog from our cruise is available to catch up on!). This information is correct as of July 2018 – please note not all bars on the ship sell all the below drinks. There is a minibar in every MSC Magnifica cabin and suite. You can ask your cabin steward to replace any items that have run out or they will be automatically replaced each day, you can also ask your cabin steward to remove all the drinks if you don’t wish to purchase any and instead the minibar to store some of your own drinks. The minibar isn’t auto-charging, you have to write down what you have had on a small order form which can be found in your cabin. A 15% service charge is added to all purchases from your minibar. Drinks from the minibar are not included with the All-Inclusive drinks package but they are included with the All-Inclusive Deluxe drinks package. 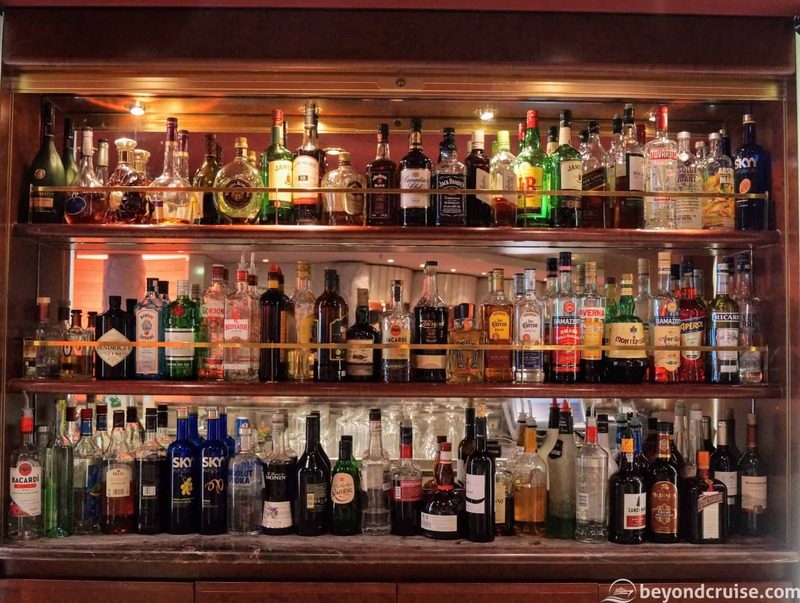 MSC Magnifica has many bars (see our Eat and Drink guide) – below is a list of drinks available from most bars. 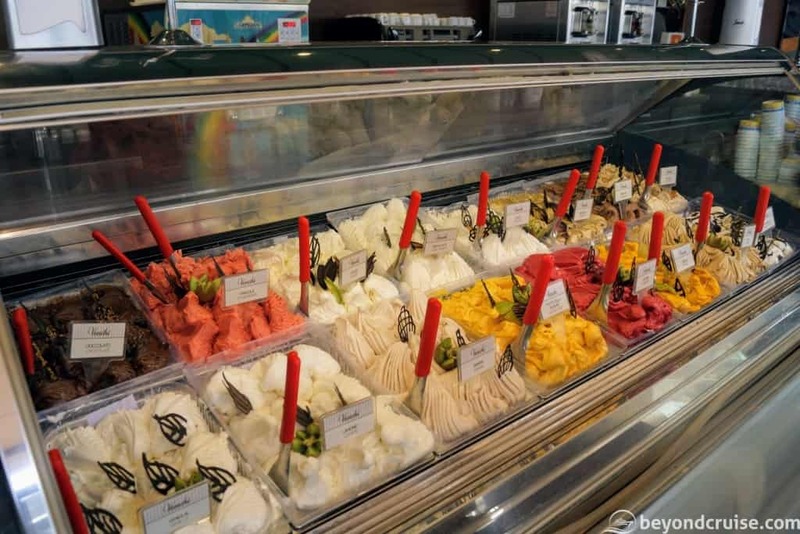 Smoothies, slushies, milkshakes and gelatos can all be found at La Barchetta Bar on Deck 13. Drinks marked with a * are not included with the All-Inclusive Standard drinks package. They are included with the All-Inclusive Deluxe drinks package or available to purchase without any package. Drinks marked with a ** are not available on any package and must be purchased separately. Mixers are an additional € 1.50. None of these drinks is included in any drinks package. 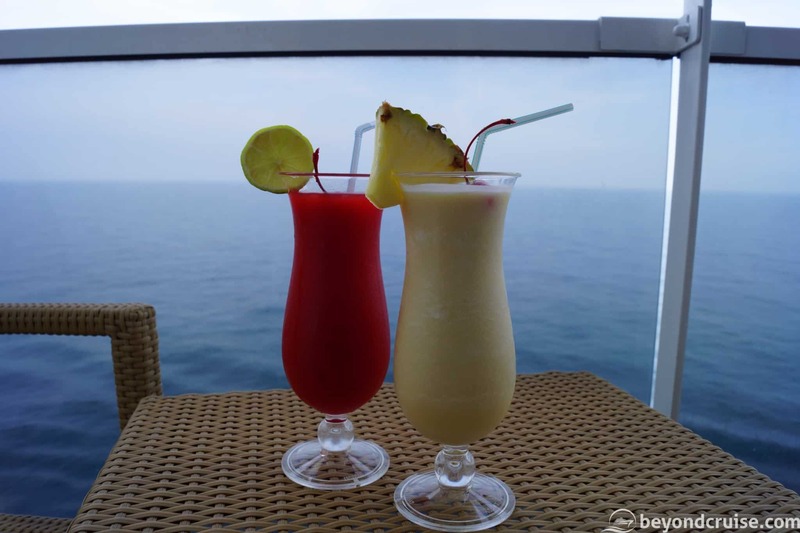 MSC Cruises offer some of the best drinks packages in the industry, you can either buy the package before you board (via the MSC Voyage Planner) or whilst on board. However, purchasing the package on board will add a 15% service fee. All drinks packages have to be bought for the duration of the cruise and for each guest in the same cabin (or child package if they are under 18). Packages are not available on sailings of 5 nights or less. When purchasing a drinks package it is worth working out how many drinks a day you’ll be having whilst in a port. A port-heavy itinerary means you may not get the benefit of having a package compared to pay-as-you-go. However, if you don’t have a package do remember that all drinks on board carry a 15% service fee surcharge on top of the published prices. The prices above may be discounted further on 8 day or more cruises and might be totally different if the ship is in another region. Do check the MSC Cruises website for the latest pricing! For those that have bought or are planning on buying one of the All-Inclusive packages, you’ll find that when you get on board your cruise card has a small number printed on it – this identifies which drink package you are on to the crew. To purchase a drink you simply order as normal and they run your card through their till and you’ll be presented with a receipt for your drink as normal but it will be zero-related. Some, but not all bars will require you to sign the receipt. Generally speaking, there is no limit by way of quantity, the time between drinks or anything else – however, the usual standards will apply when serving guests that may have had a bit too much! 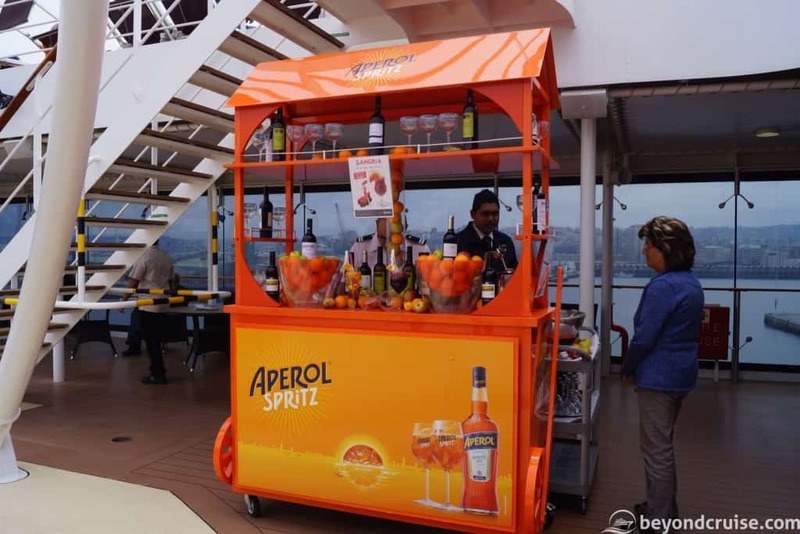 The drinks package(s) work as soon as you get on, but are not available to use on your disembarkation day. For the beverages packages, guests are issued with a small voucher booklet and you simply tear off a voucher for each drink you wish to redeem at any bar on the ship. Bella experience guests pay for all room service and a delivery fee for each delivery. Fantastica/Wellness guests pay for all room service but there are no delivery fees, additionally, they also can order breakfast to the room for free each day. Aurea guests have free room service and free delivery at any time. All the details in this guide were correct as of July 2018. We hoped you enjoyed our last guide in the series of Everything MSC Magnifica! Don’t forget, you can interact with us via Twitter, Facebook or our friendly cruise chat group!